The editor of Journal for Baptist Theology and Mission (published at New Orleans Baptist Theological Seminary) has asked me to host this journal on biblicalstudies.org.uk, something that I was very happy to do. 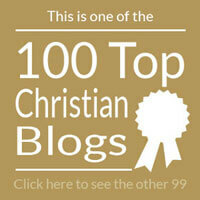 You can now access a table of contents and all the articles from 2003-2011 here. 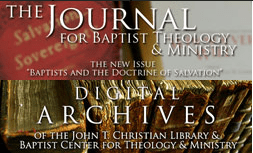 The material is already available on the Baptist Center for Theology and Mission website, but I hope that co-hosting the articles will make them accessible to a wider audience. The pdfs of all issues have been split into individual articles to enable them to be downloaded more quickly by those accessing the Internet on slow connections. I am always looking for more material to host, so if you are the editor of a theological journal which is not currently available on-line, feel free to contact me.